madspeed7_uk has no other items for sale. 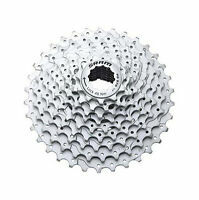 5 X Steel Bike Single Speed Conversion Cassette Cog - Sprocket 3/32"
Steel Bike Single Speed Conversion Cassette Cog - Sprocket 3/32"
Estimated between Fri. 3 May. and Tue. 7 May. Immediate payment of £169.99 is required.